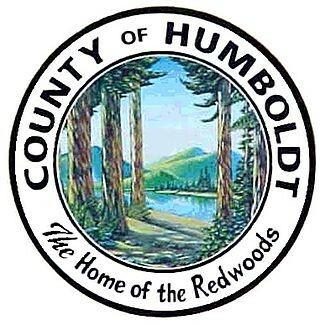 The Humboldt County Planning Commission is in the throes of its third meeting this week to address a proposed outdoor medical marijuana cultivation ordinance. In the course of four meetings in the last eight days, commissioners have heard hours of public comment and talked in depth with county counsel and planning staff in the commission's mission to come up with recommendations for the ordinance. County supervisors have asked for recommendations by the commission's Dec. 3 meeting, in the hopes that supervisors can approve of rules by March 1, the deadline to have local ordinances on the books or cede the permitting process to the state. Public comment has largely swayed between marijuana growers, who say the ordinance as drafted is too restrictive for larger grows, which will prevent people from coming into compliance, and environmentalists, who say the restrictions are appropriate and have suggested a limit on the total number of marijuana cultivation permits issued by the county. •	Offering a provisional license that would give existing farms time to come into compliance with county codes while continuing to operate. •	Tribal consultation on permitting sites and compliance. •	Revisiting the county’s phase two ordinance, which allowed small grows on parcels under five acres. •	Recognizing nurseries, where plants aren’t grown to maturity, as separate uses. •	Identifying a “Humboldt heritage” type of permit, which would give an edge to farmers who live at their cultivation sites and follow best environmental practices. •	Some kind of incentive to have farmers move their cultivation sites out of the hills to more suitable parcels for agriculture. •	Caps on the total number of permits issued. •	Discouraging indoor growing on ag-zoned parcels. The commission has scheduled two more meetings, Wednesday Nov. 18 at 1 p.m. and Thursday, Nov. 19 at 6 p.m.